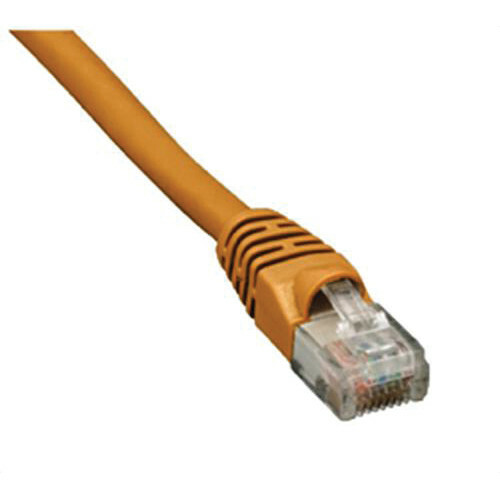 The Comprehensive 14' CAT6 Crossover Cable (Orange Finish) helps you connect your computers over the network and get 550 MHz of bandwidth. By reversing transmit and receive pairs on one end of the cable, you can connect computers directly to each other without a hub. This cable is also ideal for adding a hub without a crossover port. Box Dimensions (LxWxH) 6.299 x 6.299 x 0.709"